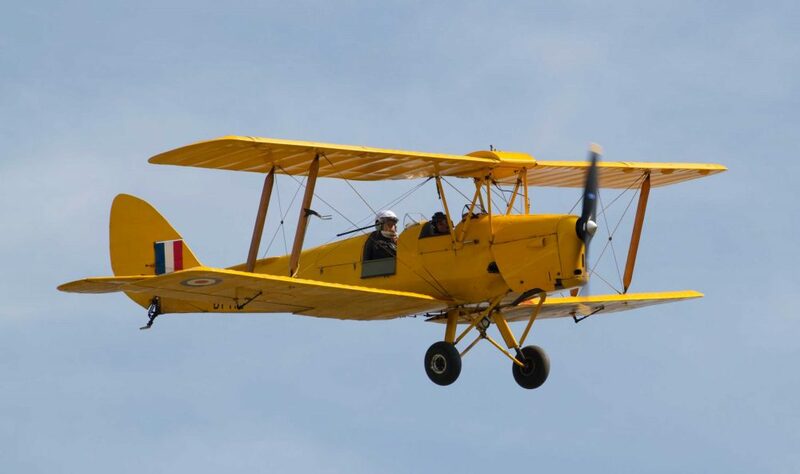 The Moth Club’s annual Charity Flying Weekend will take place at Old Warden Aerodrome on Saturday and Sunday 8/9 June. Flights in a range of de Havilland aircraft will cost £95.00 per person. Once again we are encouraging young people to fly with us and on both days a number of flights will be available for young people between the ages of 13 and 18 at just £10.00 per flight – these flights must be booked in advance. There is no pre-booking for any other flights, all of which are offered on a first-come basis. Young people who fly with the Club will be offered the chance to take part in a short written competition for which the prize will be a formal flying lesson in a Tiger Moth at a suitably approved organisation.